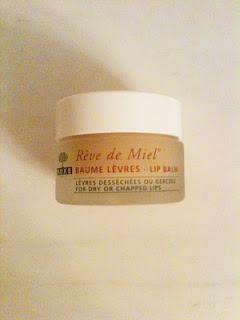 I have got my hands on a pot of some amazing new lip balm! I think the packaging of this is lovely - so classy and feels so expensive as the pot is heavy and such nice frosted glass. The product itself is unbelievably moisturising - the packaging says it contains honey and 'precious oils'. I have no idea what the precious oils are or what makes them so precious, but I love them! It doesn't smell much like honey though, more like lemon. This is really thick and a little goes a really long way. 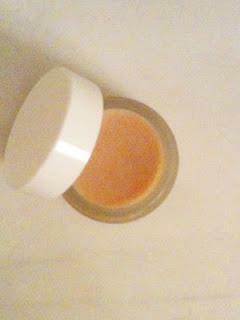 It feels almost grainy at first but this soon melts away and leaves a really smooth feeling balm. It's not at all sticky, but equally doesn't feel like it's going to slide off your lips quickly. In fact I put this on before I went to sleep and it was still on my lips the next morning! It lasts for hours and leaves my lips so unbelievably soft - amazing product, can't wait to try some of their other stuff out!